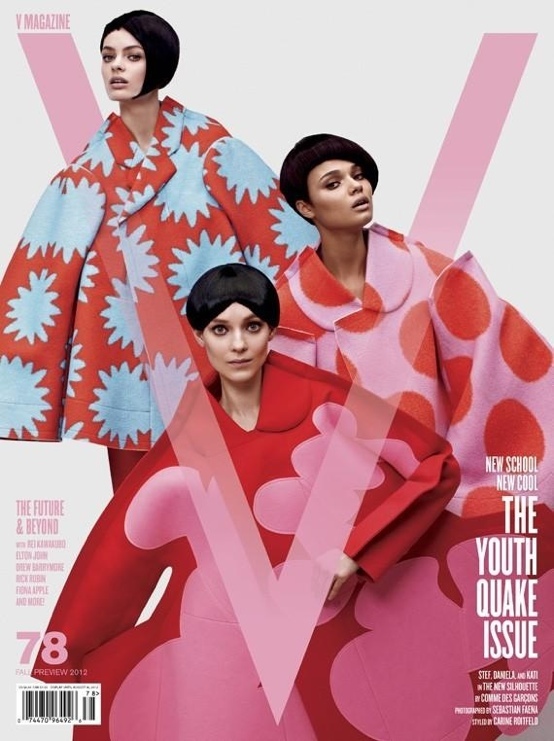 Three covers for V Magazine July 2012! First one: red and pink, true love! On the cover: Daniela Braga, Kati Nescher and Stef Van Der Laan. On the second cover: Grimes and Sky Ferreira. On the third cover: Ava Smith, Kati Nescher and Thairine Garcia – love the Balenciaga sweaters. I want the all! All covers photgraphed by Sebastian Faena and styled by the one and only Carine Roitfeld.